Coca-Cola China is investing in China-based premium yoghurt firm Lepur. The US beverage giant shows with this move the dedication to take part in the booming healthy dairy sector in China. On April 26, Lepur announced that it has received hundreds of millions of yuan of investment from Coca-Cola China. The two companies agreed to work together in product innovation, marketing channels, digitisation and brands. According to market intelligence firm CCM, this is Coca-Cola's first investment and cooperation with a start-up company in Asia. The drinks giant made the investment on April 21. According to the announcement, Coca-Cola has acquired a 12% stake for USD38,866. This makes the company the second largest shareholder, only being below Liu Danni, Lepur's founder and CEO, with 35.011%. Coca-Cola has been trying to diversify its product portfolio to meet the new consumer demand while in the past it wasn't able to tap into the growth of the dairy sector, which is significantly booming in the Middle Kingdom. The move of Coca-Cola is reflecting the development in China’s dairy market. The booming demand for yoghurt in China is driving the dairy investments. Premium milk products like yoghurt have seen the biggest growth of dairy products as consumers start to choose higher quality products. UHT yoghurt, in particular, is expected to witness the fastest growth of more than 20% each year, as many Chinese consumers are showing sins of lactose intolerant and avoid purchasing milk products. In addition to this, UHT dairy products do not need to be stored at low temperatures, allowing it to swiftly expand into more remote areas across China. At present, the penetration rate of yoghurt products in China in terms of per capita consumption remains low, compared to neighbouring Asian countries like Japan, and South Korea. As demand increases further while household affordability also improves, the average selling price of yoghurt could also see room to increase ahead, as seen from a fairly steady price increase since 2010. Selling yoghurt is very popular for manufacturers in China since the profit margins exceed the ones of plain milk by almost double. Currently, the profit margins are at 40%. The high margins enable a good profitably of this business, accounting for a big share of the total revenue for the dairy manufacturers. By now, the segment of yoghurt is mostly covered by Chinese firms, enjoying high-profit margins and booming demand while facing less competition from international players. The success of Lepur demonstrates how China’s yoghurt market is upgrading as customers become more receptive to nutritious and healthy products despite high prices. Rises in premium yoghurt varieties have also pushed up the average price of yoghurt. Sugar-free yoghurts are still much commoner than additive-free ones, however. In April 2012, Bright Dairy & Food marketed the country’s first additive- and sugar-free yoghurt, Rushi®, priced at USD1.3 per 135g bottle. In 2017, Pucheng Dairy also launched a similar yoghurt at the same price. However, even sugar-free yoghurt has not been widely accepted by consumers, so whilst healthy foods will undoubtedly be the trend in the future, other factors such as the trade-off with taste and indulgence, as well as price, are doubtless at play here. Founded in 2014, Lepur is one of the fastest-growing brands to have emerged as Chinese consumers upgrade their consumption preferences. The company offers a wide range of high-end products, including high-protein Greek yoghurt and cereal. Lepur opened its first store in Sanlitun, Beijing's well-known expat-oriented foodservice district. Additive-free yoghurt is the big selling point of the company. The basic formula of the Greek yoghurt, called Sansansanbei®, contains only milk, sugar, lactobacillus bulgaricus, streptococcus thermophiles and bifidobacterium lactis. Now Lepur has developed 18 flavours by adding different fruit bases. At present, Sansansanbei® is priced at USD2.4–USD3.0 per 135 g bottle, the highest by far amongst local yoghurt. These run from about USD0.9 per 180 g for ordinary yoghurt up to USD1.6 for the most expensive ones. Currently, Lepur owns 3 stores, 2 in Beijing and 1 in Chengdu. Initially, the company mainly sold its yoghurt via its store and online, delivering only within Beijing’s 3rd Ring Road. However, since Aug. 2015, products brought online have been delivered nationwide. In April 2016, international hotels such as the Peninsula Hotel, Waldorf Astoria Hotel, Rosewood Hotel and Shangri-La Hotel started to purchase yoghurt from Lepur. From Sept. 2016, it has been selling in chain stores including 7-11, LAWSON and Family Mart, as well as Jenny Lou's, Beijing import grocery store. 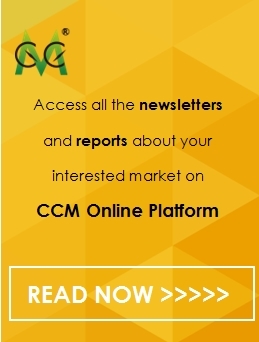 The information for this article comes from CCM, China’s leading market intelligence provider for the fields of chemicals, agriculture, food and feed. 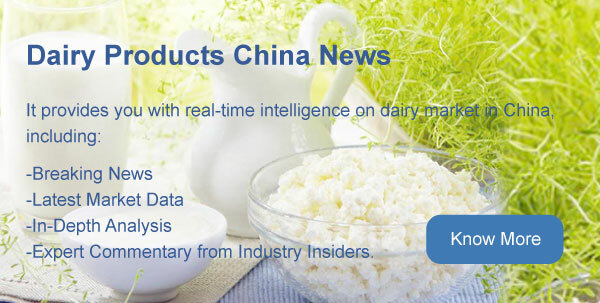 Get regular and exclusive updates in China’s dairy market by subscribing to CCM’s monthly published China Dairy Products News.